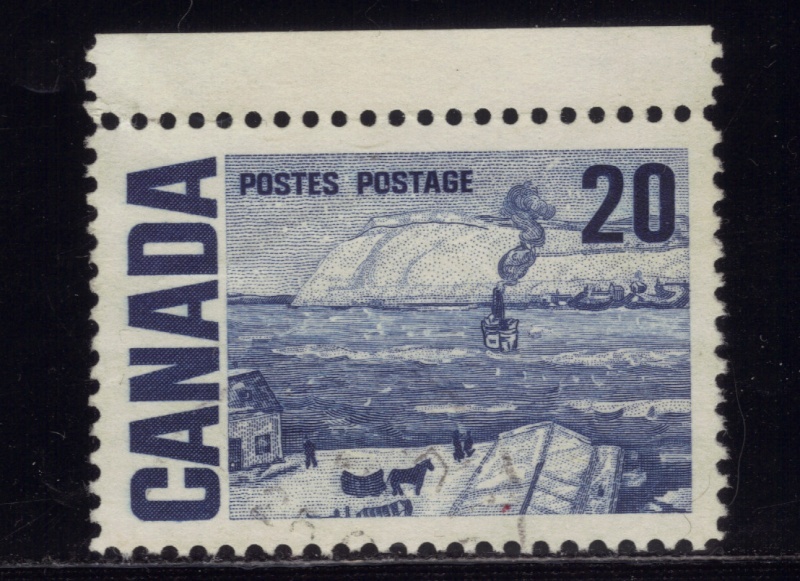 Design for the 20¢ issue, is a central portion of a work by James Wilson Morrice, titled "The Ferry, Québec". 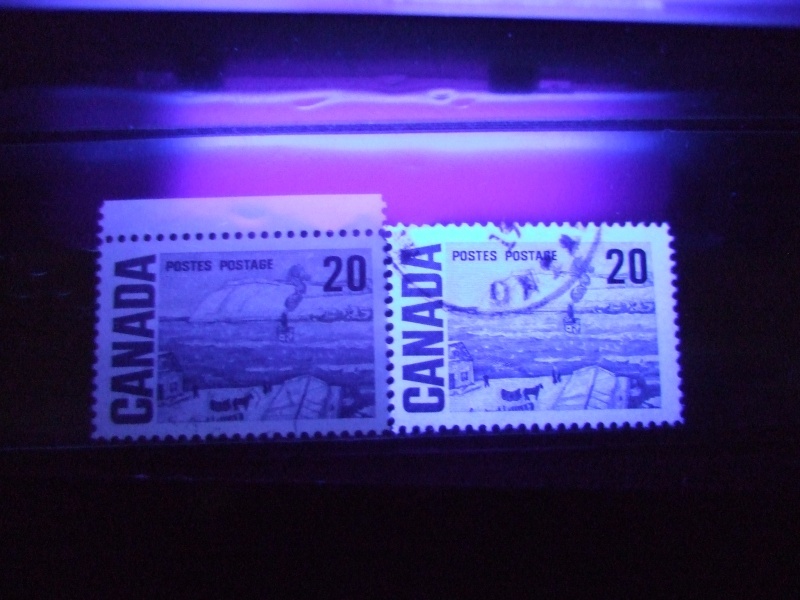 Next is a scan under the black light of the 20 cent , low fluorescence , and Hi-Brite paper. 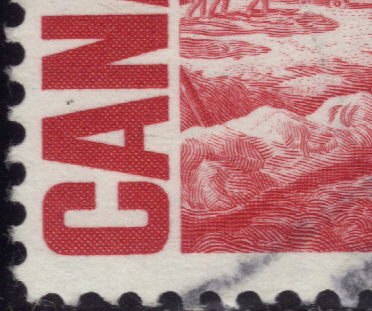 There is a hidden date on this stamp , in the middle of the stamp at the base of the ice mass. 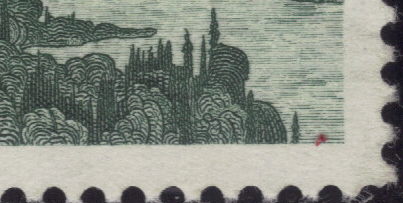 Design for the 25¢ issue is a central portion of a work by J.E.H. MacDonald, titled "The Solemn Land". 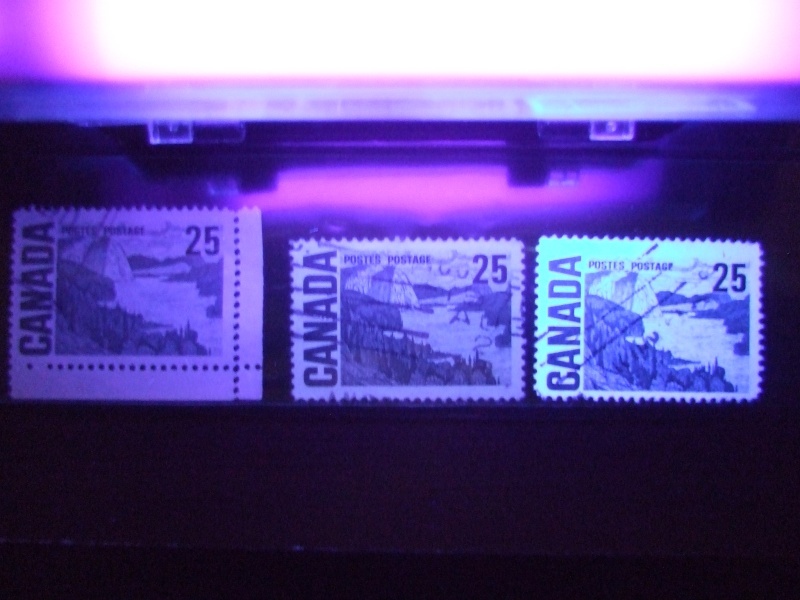 Next is a scan under the black light , showing non fluorescence , dull fluorescence, and Hi-Brite paper, all are PVA gum. 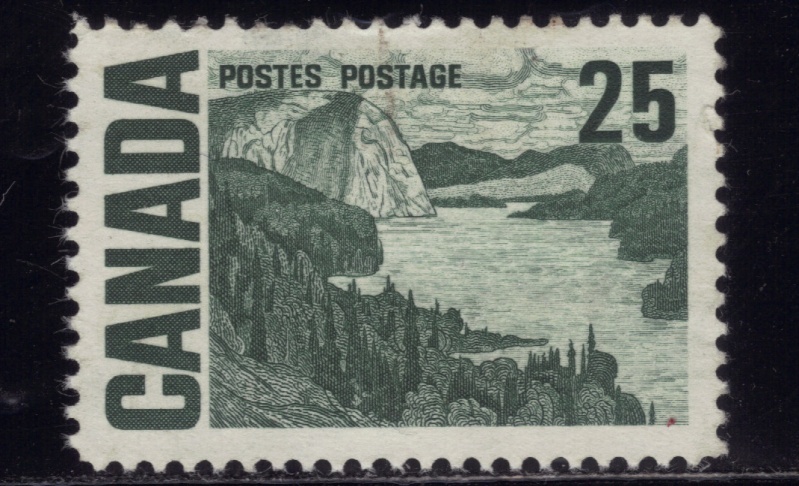 next is showing the hidden date on the stamp, at the midway along the shore line ,but not on the bottom right corner just above it. see scan. this one was hard to find. 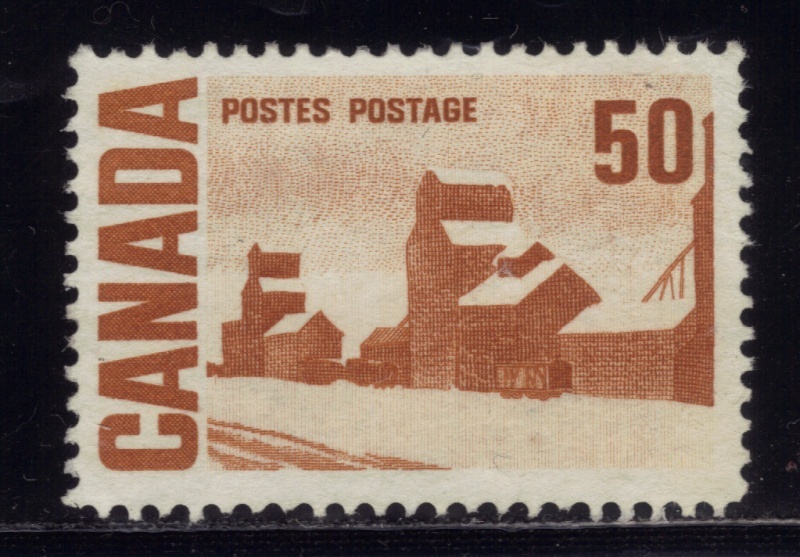 Design for the 50¢ issue is a central portion of a work done by John Ensor, titled "Summer's Store". 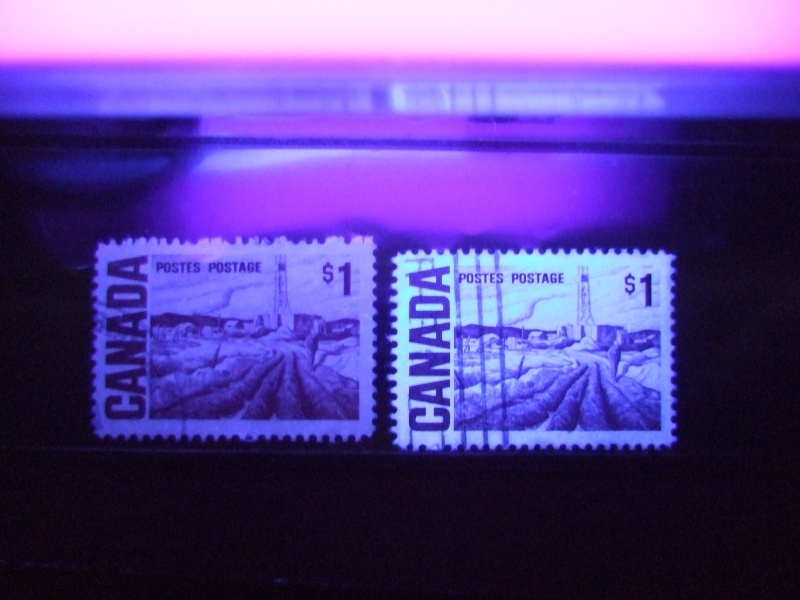 Next is a scan under a black light ,showing the low fluorescence, and Hi-Brite papers. Dex gum and later PVA gum. Next is the hidden date , showing on the midway from the bottom left corner. 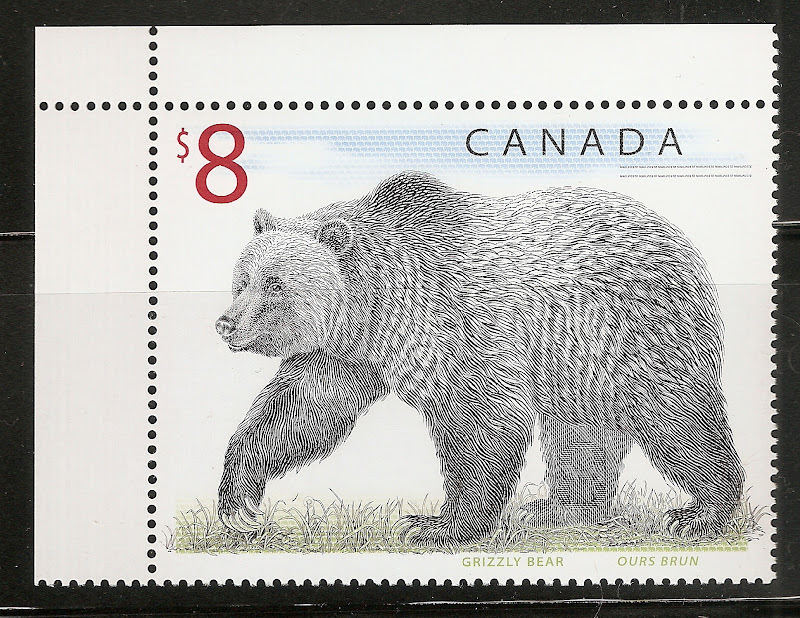 Design for the $1.00 issue, is a central portion of a work done by H.G. Glyde, titled "Imperial Wildcat No. 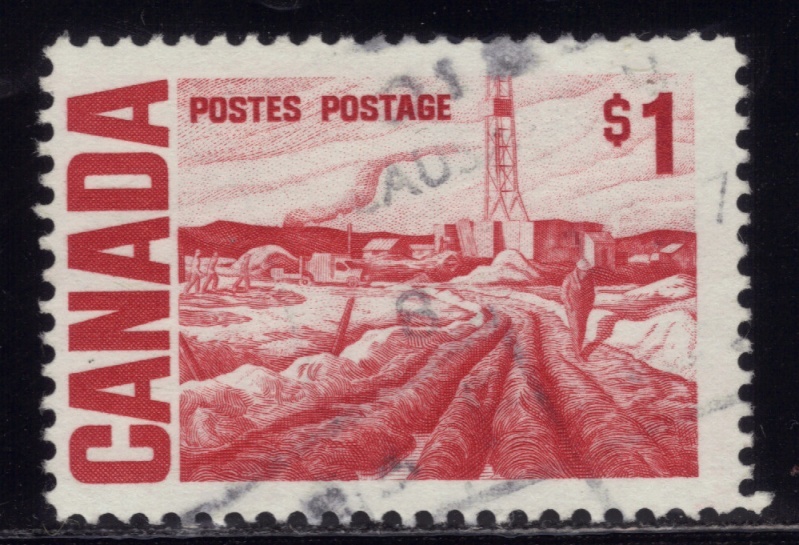 3, Excelsior Field, near Edmonton". 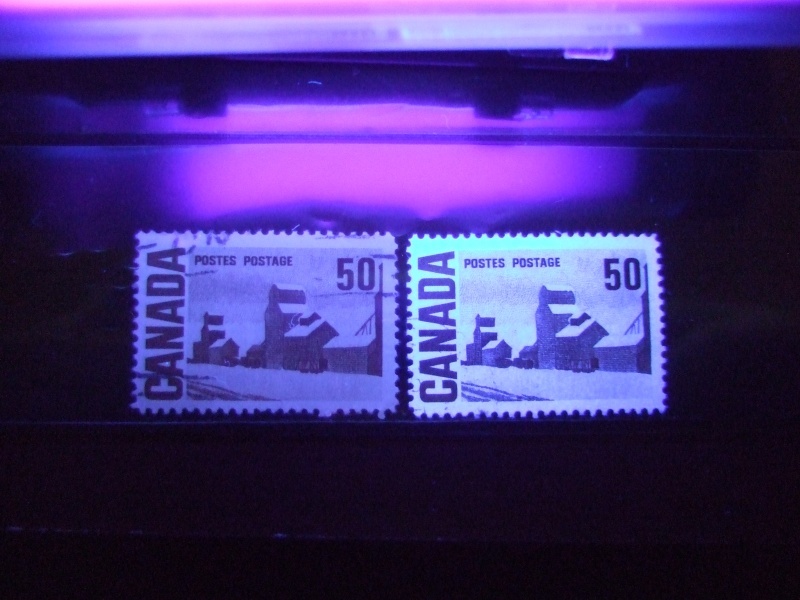 Next is a scan under a black light showing low fluorescence , and Hi-Brite paper , early plates used Dex gum in 1967 later plates used PVA gum in 1971. 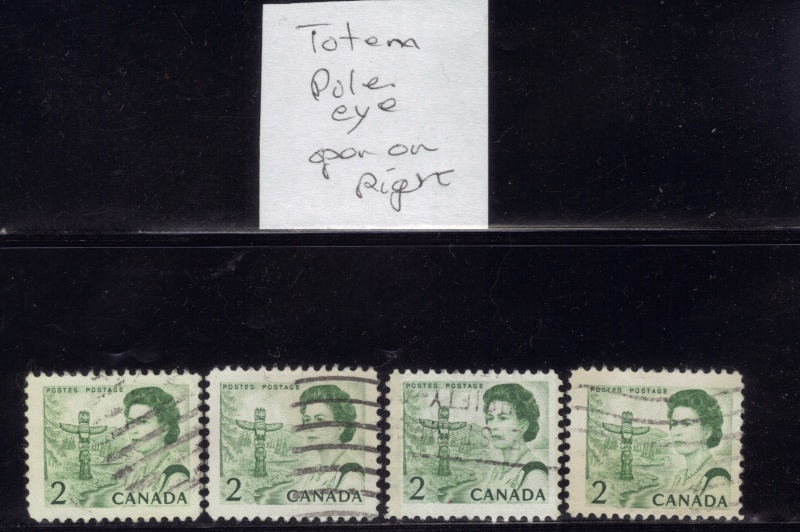 Next is the hidden date ,showing midway left corner near the centre. in a patch of snow. see scan. 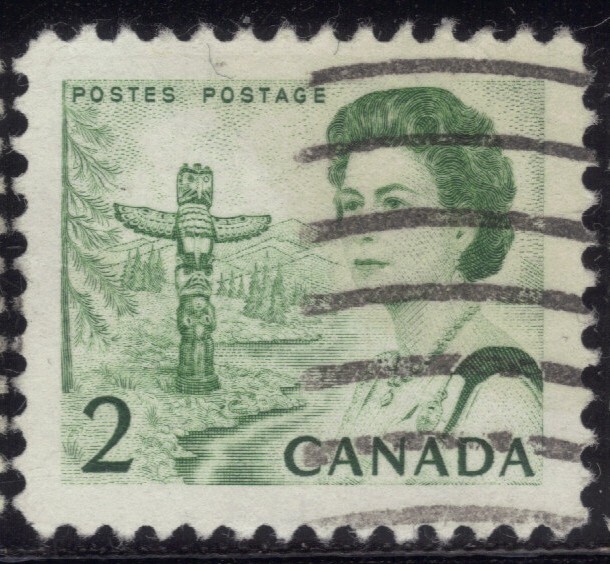 Thank you all for Viewing this work study on the Centennials ,it was a real challenge , Next i think i will tackle the 1980's Elizabeth II Definitive s.
This is a very fascinating topic and I will be going through this thread with great interest. I'm sure I will have some Canadian tucked away somewhere. The left eye is open. You can see the eyeball. you can`t see the eyeball.